The creak of wooden floors. The hushed reverence of people browsing the shelves. The unmistakable scent of new books. There honestly is nothing like a good bookshop to while away the hours, losing yourself in the finest literature known to humanity. 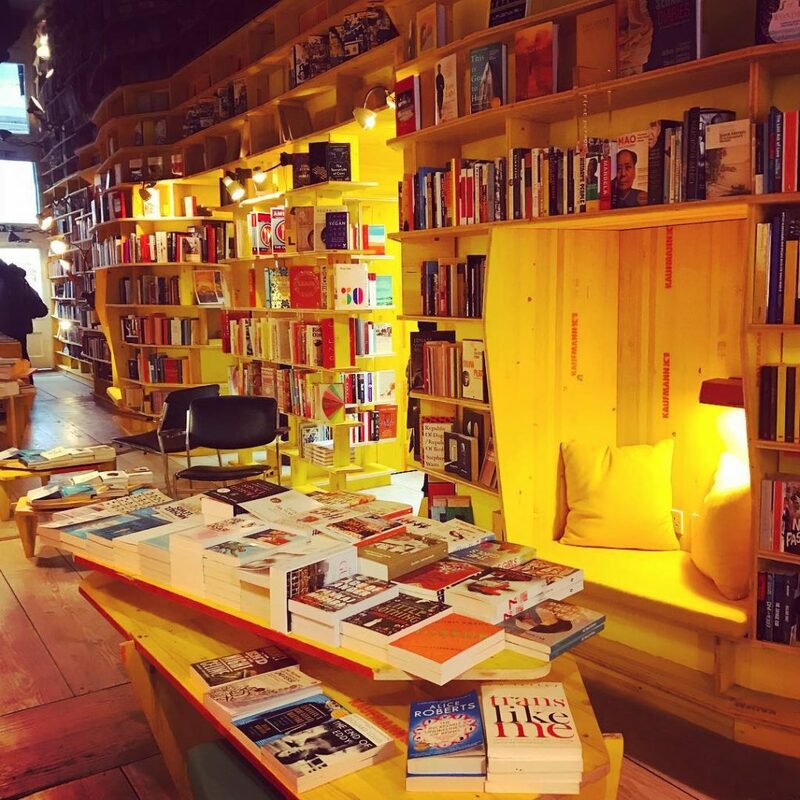 And you better believe that London has some winners – in fact, we’ve found fifteen London bookshops that will satisfy anyone with a love for the written word. Where better to start than with a bookshop inspired by literature? Libreria was shaped by Jorge Luis Borges’ ‘The Library of Babel’, a short story about a library which holds all books. Mirrored walls and ceilings make this place seem huge, and the books are arranged in idiosyncratic categories such as ‘mothers, madonnas, and whores’. Leave the phone behind though, because this is a tech-free space. Find out more here. 65 Hanbury Street, E1 5JP. This little book shop near Camden High Street is perfectly hidden away from the hustle and bustle. 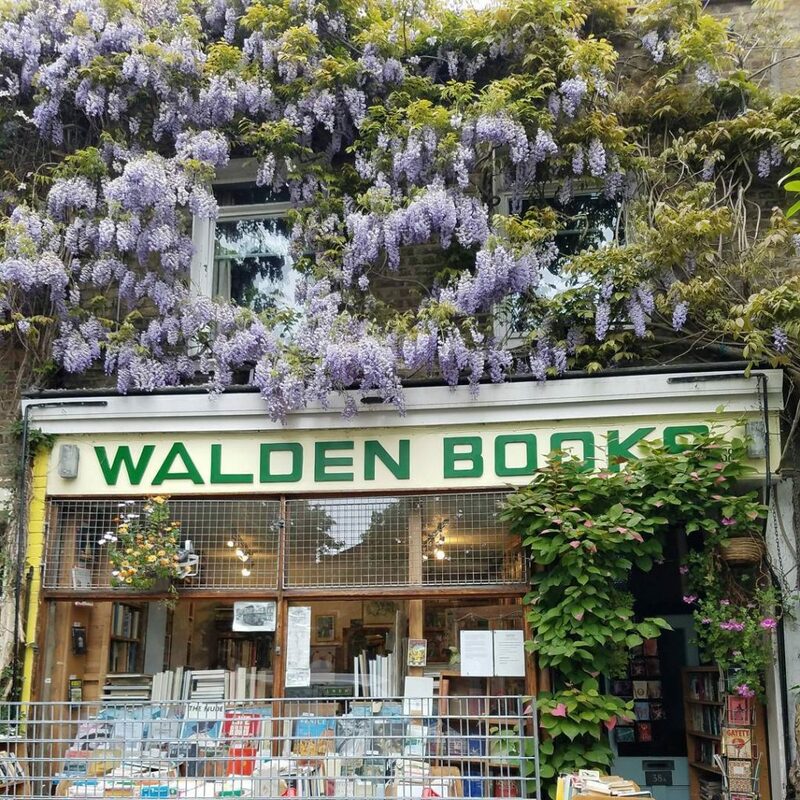 In springtime, expect this bookshop to be adorned in flowers (making it all the more harder to find, just FYI) and offering up a wide selection of used and rare books. Prices range from 50p to £50, so you can pick up bargains or go for the pricey stuff if you’re flush with cash (you lucky thing you). 38 Harmood Street, NW1 8DP. 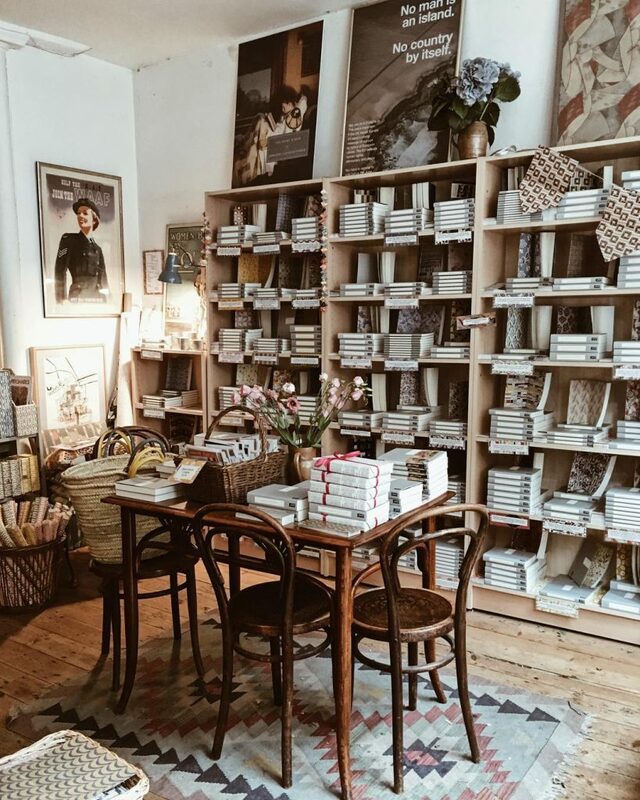 Bookshops and Notting Hill are a dream team, so we’re big fans of this spot. Charming, and stuffed to the rafters with an epic selection of literature, it’s a brilliant spot to while away the hours. You can head along for their regular talks and Q&As with authors, but for our money, your best bet is to find the right book and head up the road to Biscuiteers, to lounge around reading and munching biccies. 21 Kensington Park Road, W11 2EU. 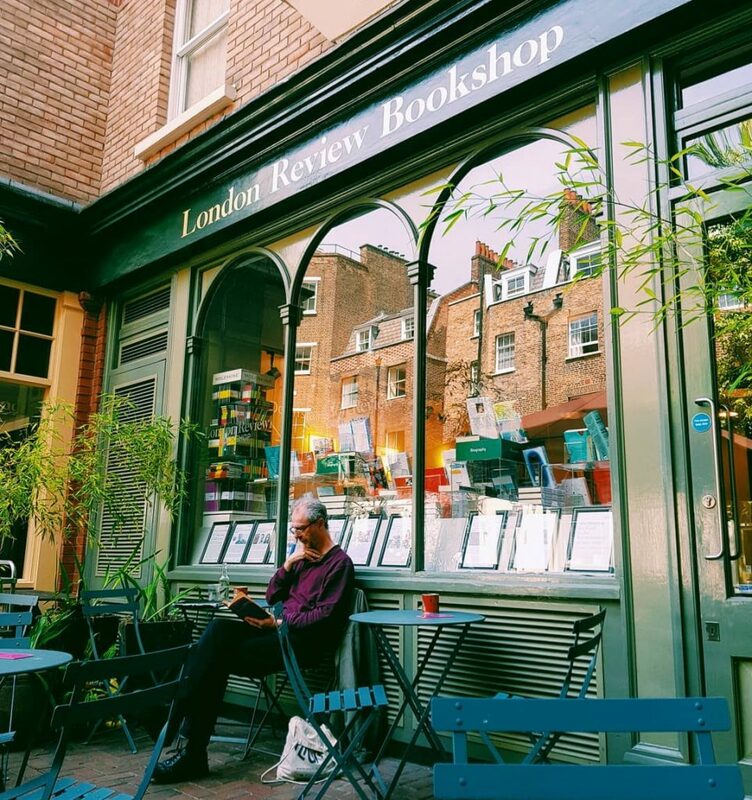 Staying in notoriously foodie Notting Hill, you’ll find a bookshop and intimate eatery all in one. As the name suggests, Books for Cooks focuses on the wonderful world of food, with floor to ceiling shelves filled with cookbooks. Even better, they regularly trial recipes in their on-site test kitchen, meaning you’ll leave with both inspiration and a full stomach. 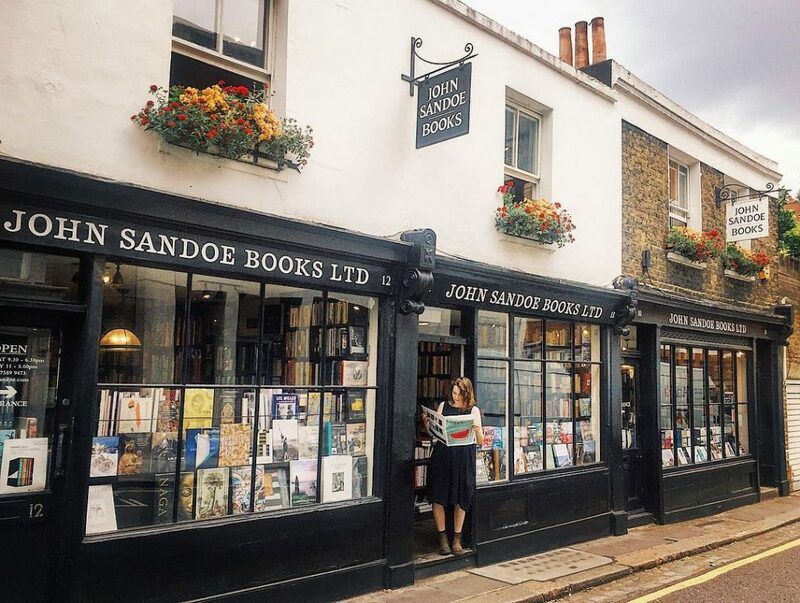 An endlessly charming, Dickensian-looking spot just off the Kings Road, John Sandoe Books has been fiercely independent for over sixty years. With over 30,000 titles in stock, you’d have to be insanely picky to leave here empty-handed – the stock is so large, there are even books stacked up the stairs! 10 Blacklands Terrace, Chelsea, SW3 2SR. Lying behind the highly ‘grammable green facade is a gem of a bookshop. 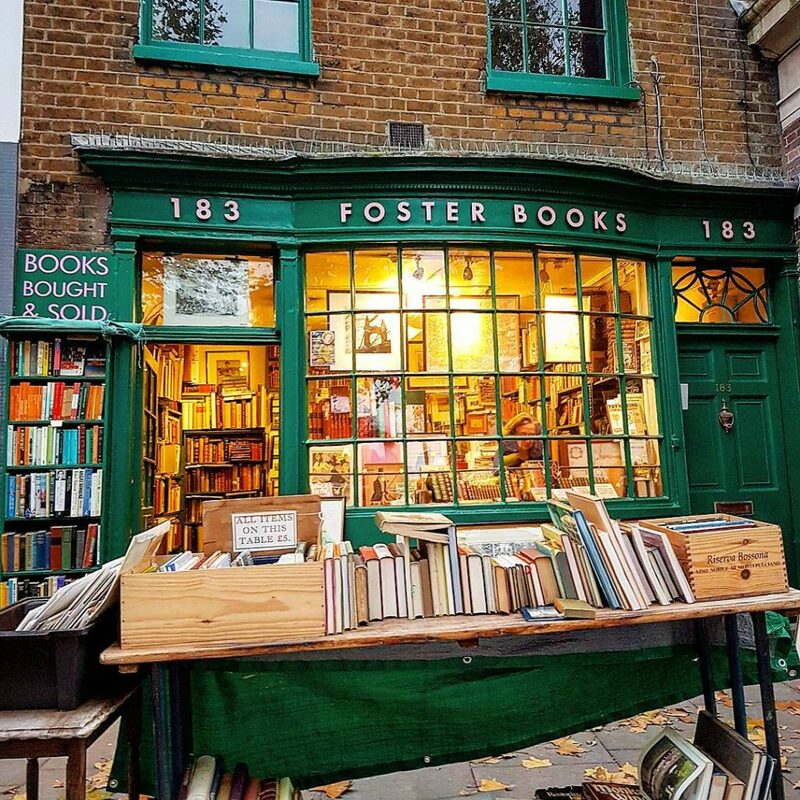 Foster Books boasts a charming bow window, along with a stunning range of rare books. The shop regularly leads lifestyle bloggers on a pilgrimage to Chiswick, but they’d do well to stick around and browse once the posing’s done. 183 Chiswick High Road, W4 2DR. Persephone is a bookshop on a mission. And that mission is to find out-of-print, neglected work by twentieth-century women writers, and give it a publishing platform that the patriarchy once denied it. 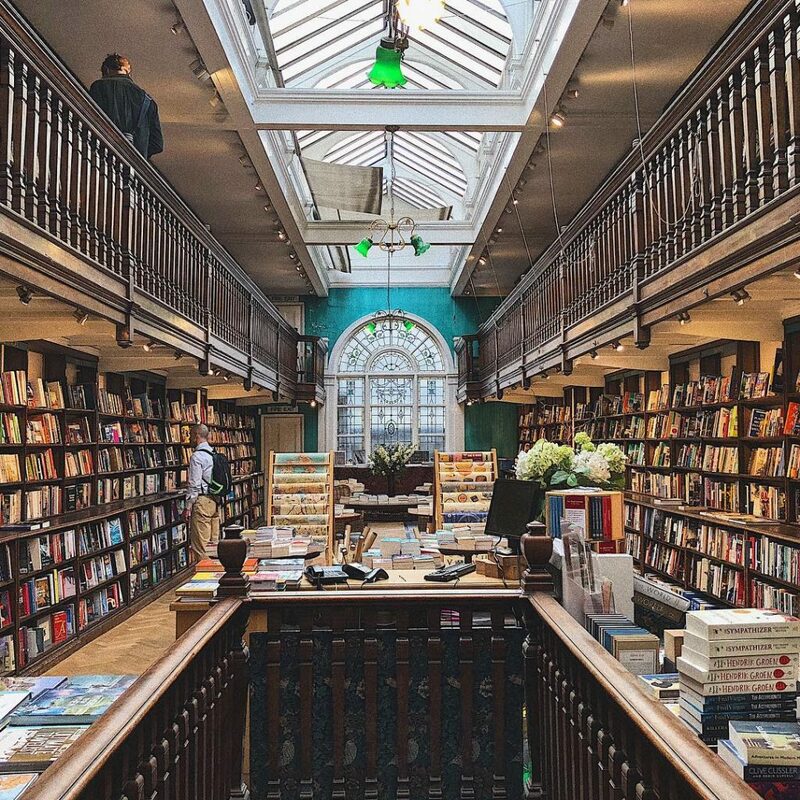 Uniquely amongst London bookshops, they only stock what they themselves have printed – each book arrives in a smart grey jacket, with forewords by famous authors. Undoubtedly one for your list. Check it out here. 59 Lamb’s Conduit Street, WC1N 3NB. There are multiple branches, but you all know the one we’re talking about. 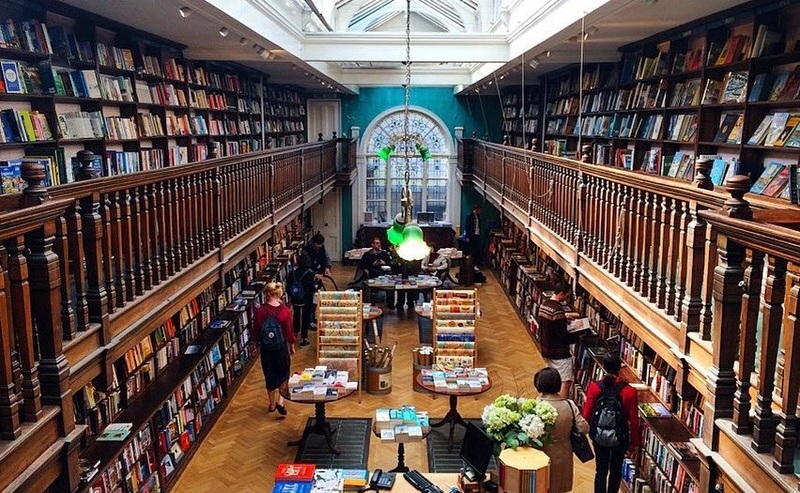 The original Marylebone branch of this bookshop chain features heavily on Instagram – hey, we’ve all done it – with the Edwardian features making for a picture-perfect bookshop. Books are arranged depending on their country (no matter what the genre), and will surely stir up a sense of wanderlust in the casual visitor. 83 Marylebone High Street, W1U 4QW. This one barges aside other competitors in the race for London’s best bookshop. 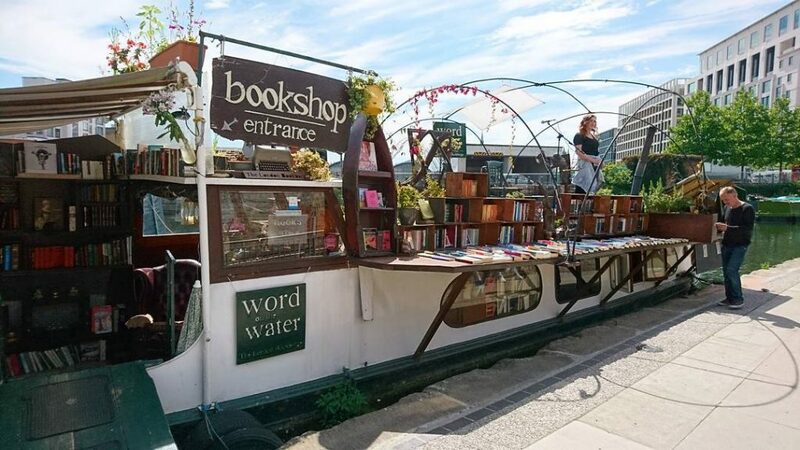 Floating on Regent’s Canal, Word on the Water is easily the most buoyant of London bookshops. Whilst the novelty of browsing on a barge is a big draw, the boat’s range of talks, poetry readings, and musical performances make it one to visit. Read all about it. Regent’s Canal Towpath, Kings Cross, N1C 4LW. Owner Ray Cole opened Hurlingham Books back in 1968, and is still running things a half-century later. It isn’t the kind of place for window-shopping, purely because the windows are usually blocked by stacks and stacks of books. 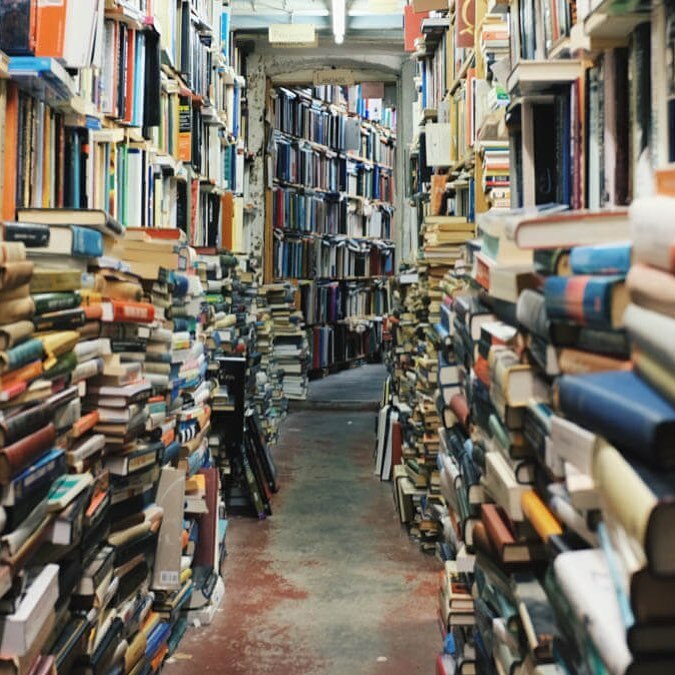 Between the shop and the nearby warehouse, this bookshop boasts over one million books – so if you can’t find something here, you’re no friend of books. 91 Fulham High Street, Fulham, SW6 3JS. 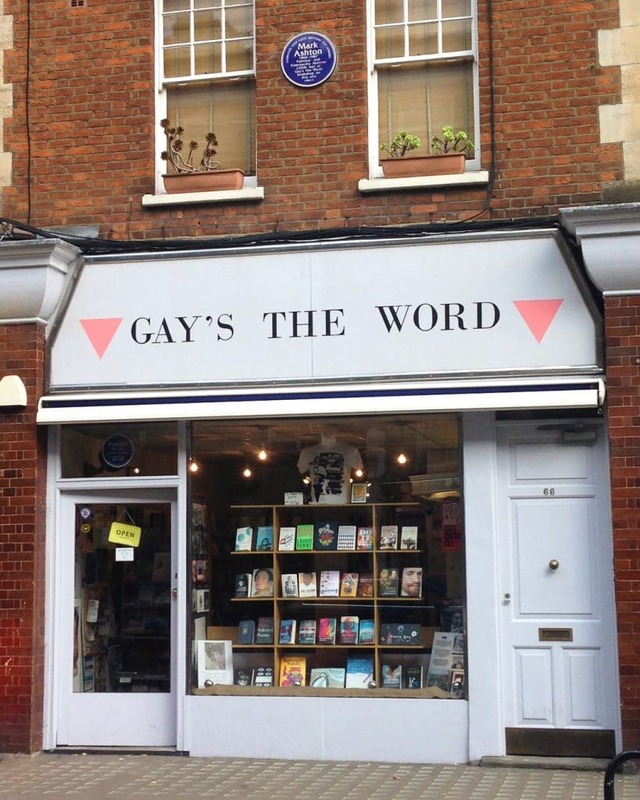 The only specifically LGBTQ bookshop in the UK, Gay’s the Word has been a London institution since the 1970s. In the intervening years, they’ve faced down homophobia, Customs raids, and the rise of online booksellers to sell fiction and non-fiction to the good people of London, as well as acting as the headquarters of several gay rights movements. Long may they continue. 66 Marchmont Street, Kings Cross, WC1N 1AB. For both longevity and prestige, Hatchards remains unsurpassed amongst London bookshops. 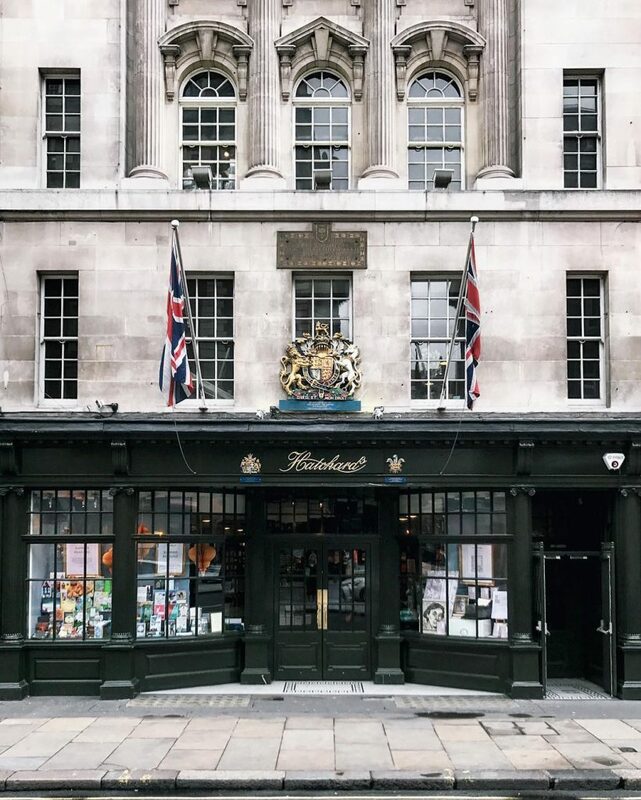 They’ve been flogging fiction since 1797, making it the oldest bookshop in the UK – and one of the most trusted, too, with no fewer than three royal warrants to its name. In recent years, they opened up a St Pancras branch, but nothing matches the original for old-world charm. See more here. 187 Piccadilly, St. James’s, W1J 9LE. 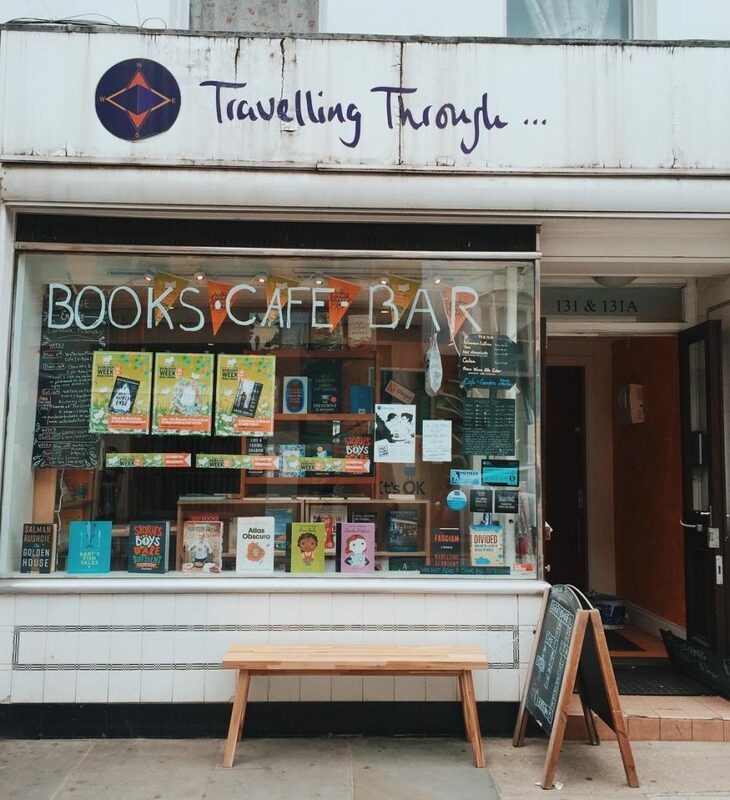 Tucked away behind Waterloo station, this bookshop is a place you’ll usually only find if you’re, well, travelling through. 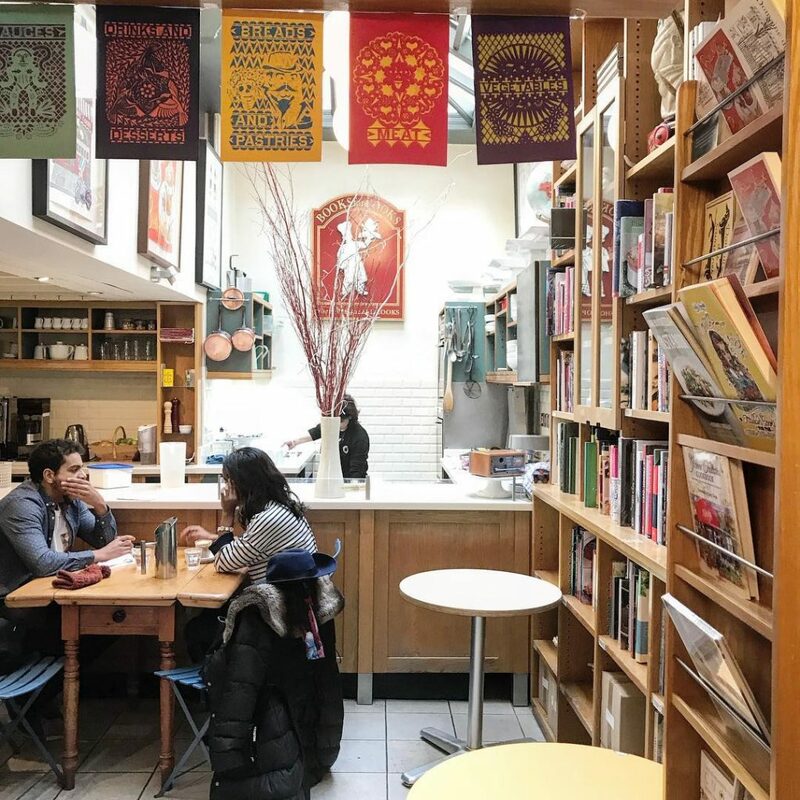 It’s a cosy place stuffed with a huge range of travel books, and the adjoining cafe and garden are the perfect place to kick back with a new read and one of their luxurious brownies. Or if it’s after 6pm, with a cocktail, because they open the bar during the evenings. Check it out here. 131 Lower Marsh, Lambeth, SE1 7AE. The bricks and mortar shop of the London Review of Books sits a stone’s throw away from the British Museum. It’s a place to find everything you knew you needed, plus a load of books you definitely didn’t need but secretly coveted. Their coffee and cake shop is rather nifty, and it’s a frequent stop for writers publicising their newest work. 14-16 Bury Place, Bloomsbury, WC1A 2JL. 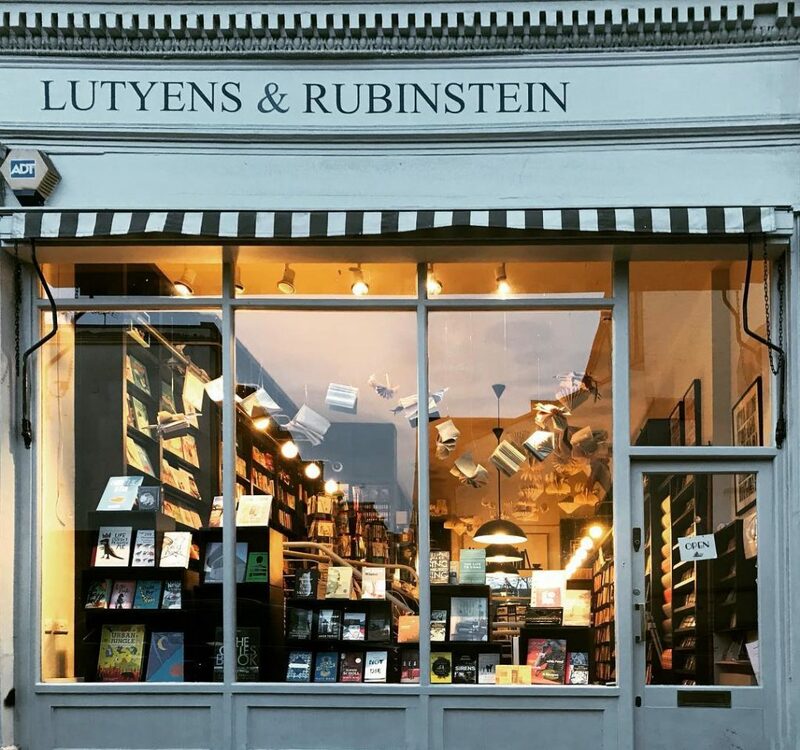 The name gives it away: buy as much or as little as you’d like from this bookshop. 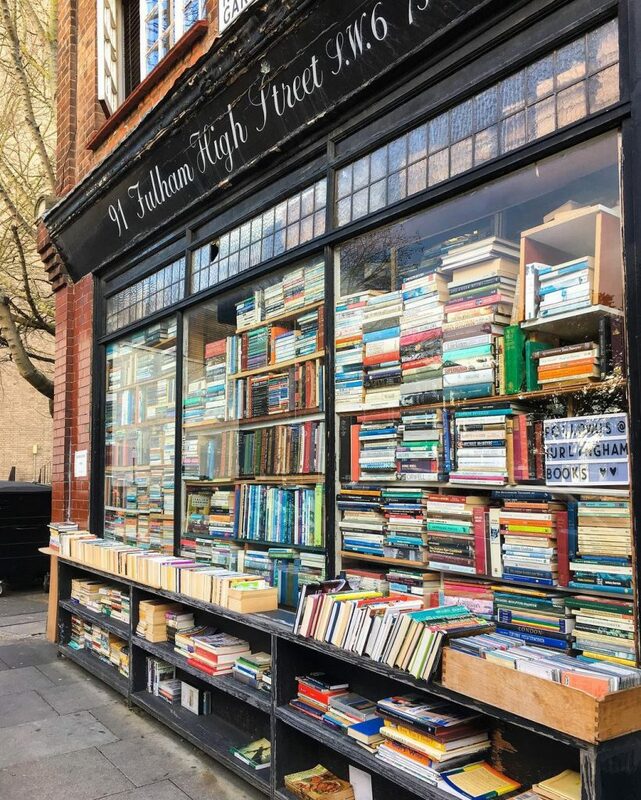 From their perch on Charing Cross Road, they’ve sold secondhand books to passersby of a literary bent – particularly those in the market for rare or hard to find treasures. It’s a sweet spot for a lovely bit of bargain hunting. 56 Charing Cross Road, WC2H 0QA.